Every day in Texas is a triumph over all the things trying to kill you – the weather, snakes, fire ants, spiders, politicians, passive-aggressive drivers. I could go on, but I’ll focus on snakes for the moment. There was a snake. In. My. House. This morning I woke up to a snake in my house. As far as snakes IN MY HOUSE go, it was about three feet long, which is way too big for a housepet. 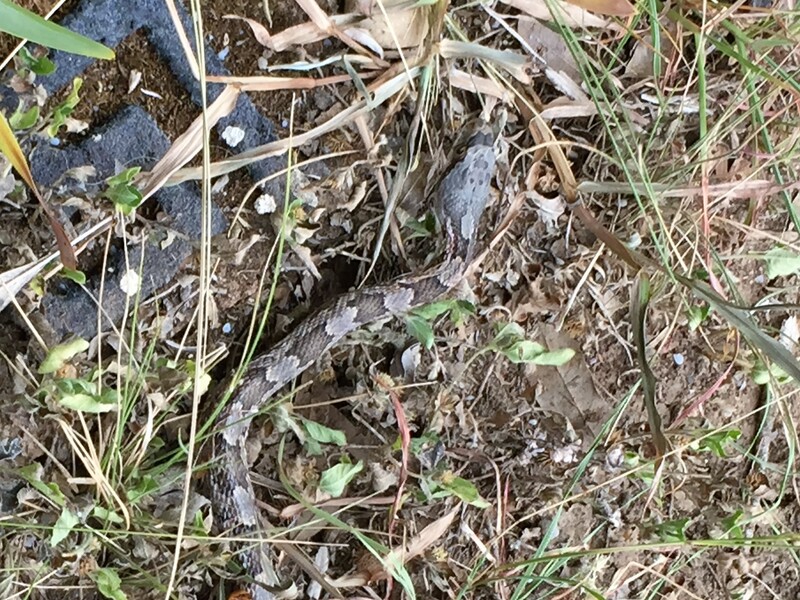 No rattle and probably not venomous, but its mere presence in the house meant that my cat and three ferrets all failed to do something about it. Freeloaders. After muttering under my breath at the vermin hunters that share my house full time and failed, I did what any prudent Texan would do. I touched the snake to make sure it was alive. Yup. And it really didn’t like me looming over it and being all handsy. Then I began the troubleshooting process. No other people around, so my problem to solve. What else will catch and kill a snake? A chicken! I have those! Do I want to bring a chicken in my house and then have to catch it, too? Not really. 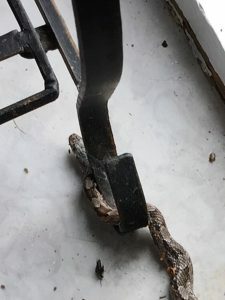 Did I have anything like a snake handler’s hook in the house? The creature was right by my front door. I hadn’t had any caffeine, so I needed to resolve this – stat. Plus, if I took my eyes off the snake for long, it could hide. Anywhere. I finally settled on a metal curtain rod and a purple dressage whip and used them as a set of gigantic tweezers to grab the snapping thing and let it free into the yard…where the buzzards were circling overhead. 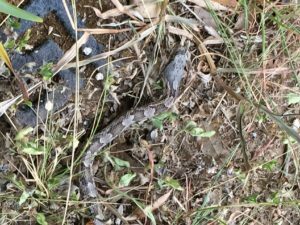 * I adhere to a live-and-let-live policy regarding non-venomous snakes and other critters. Since this was a rat snake (identified after the fact), I left it to pursue its fortunes outside. ** Buzzards always require investigating. In this instance, something had killed one of my chickens and maimed another. That’s for another day’s tale.